Virtual Reality Cardboard Glasses Just $10.99 Ships FREE! You are here: Home / Great Deals / Virtual Reality Cardboard Glasses Just $10.99 Ships FREE! 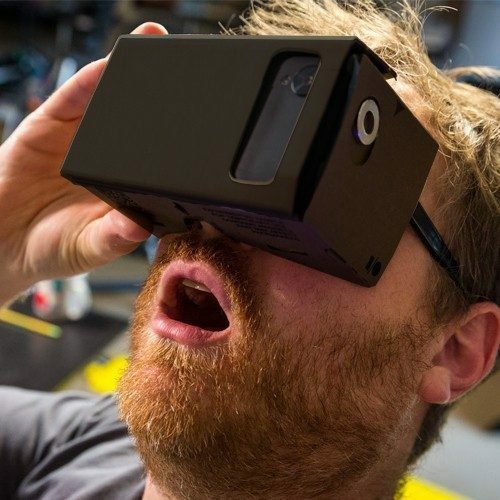 Order the Virtual Reality Cardboard Glasses Just $10.99! Plus it Ships FREE! Leap into another reality with these Virtual Reality Cardboard Glasses. Simply assemble the glasses, download the virtual reality app from a moblie device and find yourself in another dimension. Join the virtual reality conversation. Limited quantity. Order yours today!